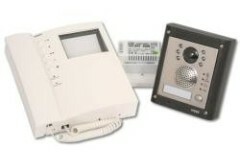 Video entry systems, they allow the caller to be seen. 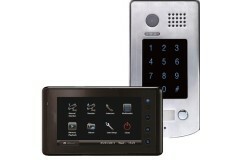 Unlike the audio entry intercoms the video entry systems come in a choice in black and white or colour video. Full colour monitor with visual and audio communication. 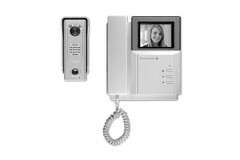 Looking for a Video Intercom System? 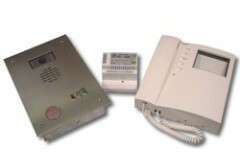 If you're looking for a something more than a basic voice intercom for your door entry control system, these video intercom systems take intercom access control to the next level, allowing you to see as well as hear the person requesting access. We are here to help! If you unsure or need any help, our technical expert Darrel Walters (as seen on the right) is happy to help you make the right choice! What is access control? Click here for a complete guide!Email Darrel now for help & advice. 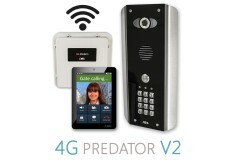 Utilising the latest 4G mobile data technology, this is the 4G version of the AES Predator V2, utili.. 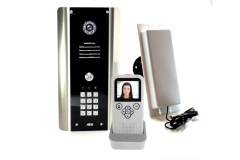 If you're looking for a domestic video doorbell intercom system that boasts some amazing features wi..
World Class Wireless Video Door Entry System (Single User)When it comes Wireless Video Door Entry Sy.. 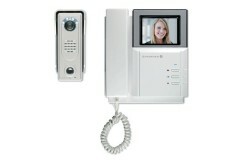 The new Stylus video intercom system combines access control and multi-camera monitoring into one sm.. 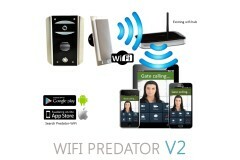 Perfect for allowing you to see who's at the door before you let them in, the Neighborhood Watch App.. 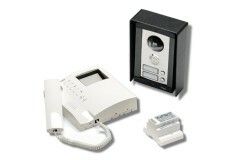 The APT SingleWay is a door-phone entry system designed for a single residence. Featuring a hi.. 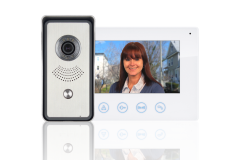 The Abus Eycasa is a revolution in video intercom systems due to its wireless connectivity between t..
New and improved, the AES Wifi Predator 2 Wireless intercom allows you to have a live video from you..
With built-in keypad function, this modern, stylish and versatile unit can do it all. 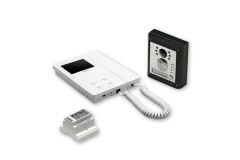 Comes complete..
With built-in proximity reader, this modern, stylish and versatile unit can do it all. Comes complet.. This modern, stylish and versatile unit can do it all. Comes complete with a sleek 7inch multifuncti.. The Enterview 5 provides a crisp and clear 4" picture and has an excellent high quality duplex sound.. 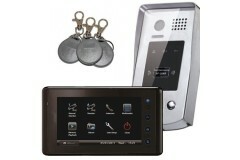 This EV5 monochrome video door entry handset displays 4" screen . Up to 4 additional monitors can be..
Videx 4000 is a disability friendly video kit combines both style and functionality into a flexible .. 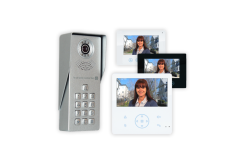 The Videx 4000 is a disability friendly video kit combines both style and functionality into a flexi..
Videx One Way DDA Video Door Entry System. 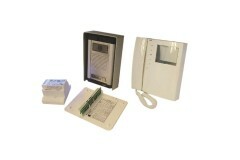 The special needs door panels have been developed to comp..
Videx One Way Colour Door Entry System. 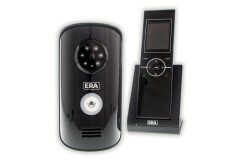 The door panel includes a CCD camera with infra-red illumina..
Videx One Way Black and White Door Entry System. This Kit is Surface mounted and Black and white (Mo.. The Videx VCVK8KS is a 1 way surface mounted colour video kit. 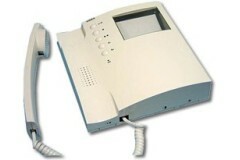 The flexible design allows for the ad..
Videx Series 900 Flat type Videophones. 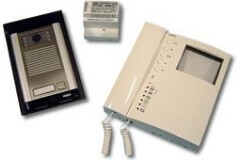 4 Mono coax videophone c/w door open button, camera recall b.. 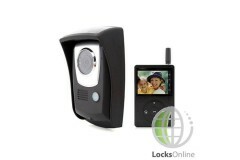 This 2.4" wireless video intercom system is the smallest and cheapest in the range but still packs g.. 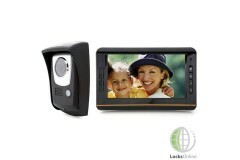 This wireless video intercom system presents clear video footage on a 3.5" TFT LCD screen. The infra.. 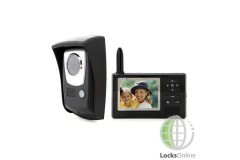 This 7" touch-screen wireless video intercom system boasts infra-red assisted video for night time u..